Friday 16th March 2007: chez mon pÃƒÂ¨re, a sesquivertical of Cockburn and Taylor (paperwork). Present: JDAW MAW RAW WDBP RKA JFH MF SRG, and sort-of SVW. See review. A vertical of Cockburn, with some matching Taylor vintages, and some mystery bottles. Like the Cockburn 1908, cloudy pink, and nosing of candy sugar and caramel. JFH said “fudge and chocolate†. 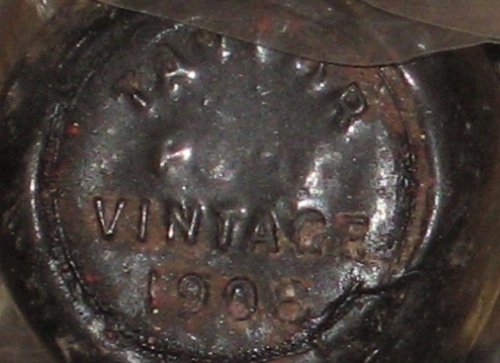 Lovely soft old port, very delicate, but with great length. Alas too faded. Perhaps, according to JFH, cloves. 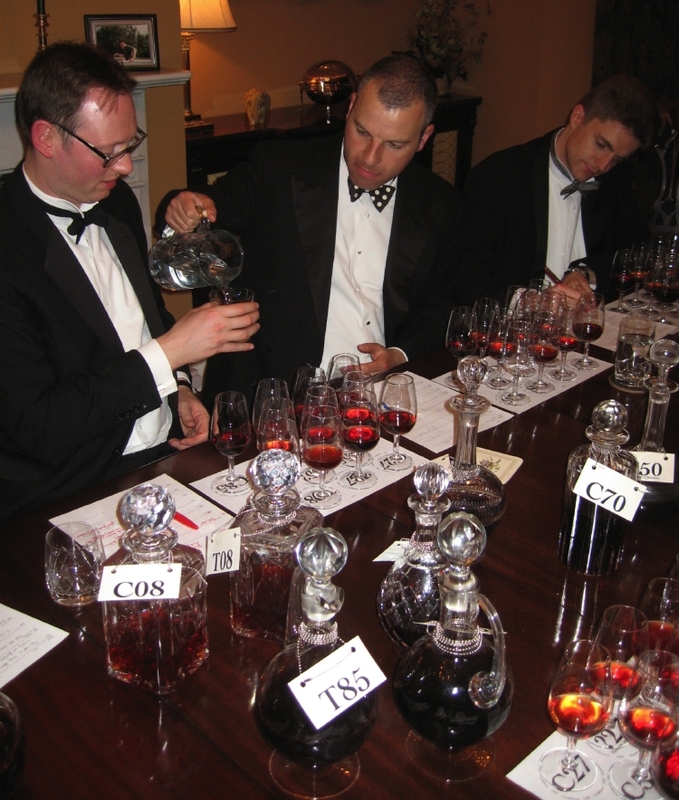 Observe the colour of the ’08s in the decanters, and the cloudiness of the Taylor 1908 in the glass of the man far left, he being “JFH†.